Settle in, as this is a place to tell stories in stitch; to share new ideas and bodies of work as they unfold; to connect with fiber enthusiasts and needle-wielding friends every where. All the photographs on this website are taken by Tierney Barden, unless otherwise credited. You may use Tierney's photos, but kindly link back to this website. Thank you very much! 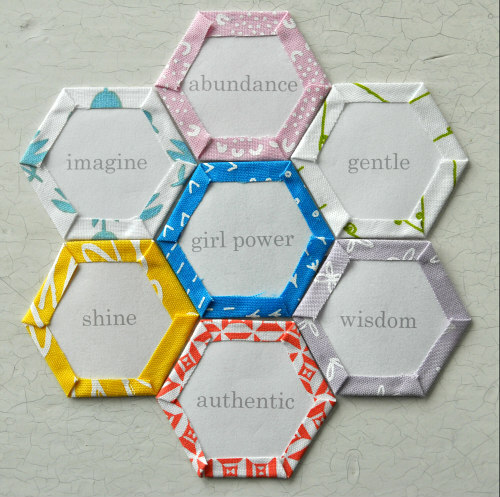 Click the image to download my FREE Striped Octagon EPP template, and share what you make #tierneybarden. We'd all love to see! Click the image to download my charm-friendly FREE Gingham for Giants quilt pattern! 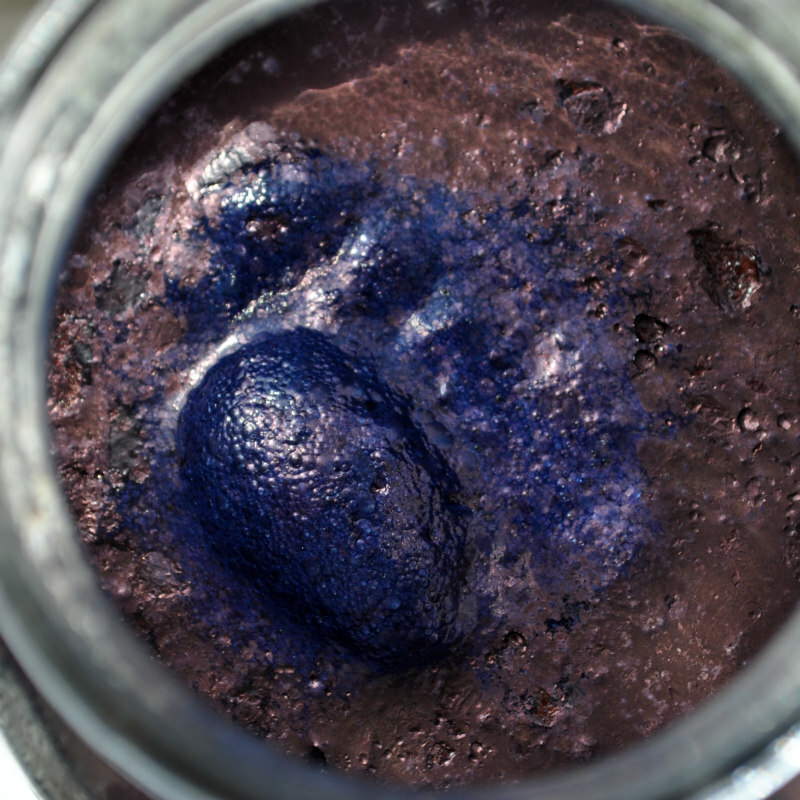 Share what you make #tierneybarden. We'd all love to see! Sign up with your email address to receive this newsletter sent twice monthly. 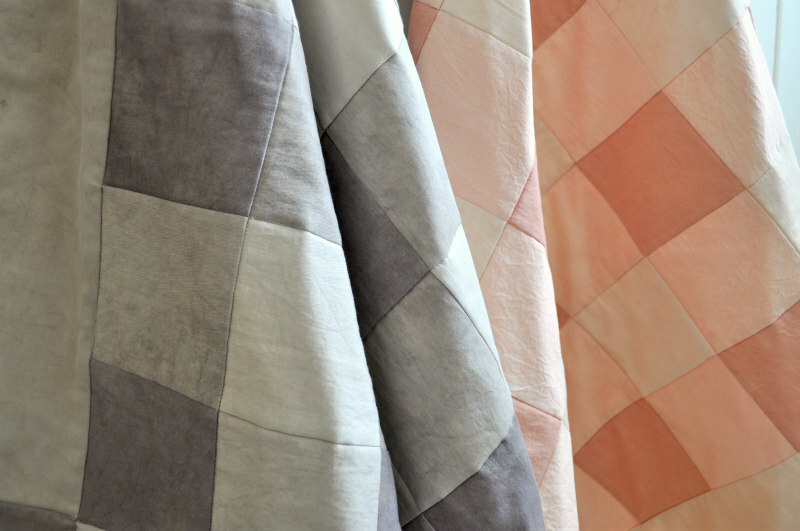 Be the first to know about sales, receive free patterns and cultivate your creativity! We respect your privacy and don't share your email address. Thank you for choosing to receive our newsletter. We're excited to be connected with you! Here's to a year full of stitching adventures together! Enchanted Squam. A Fairytale In the Woods. 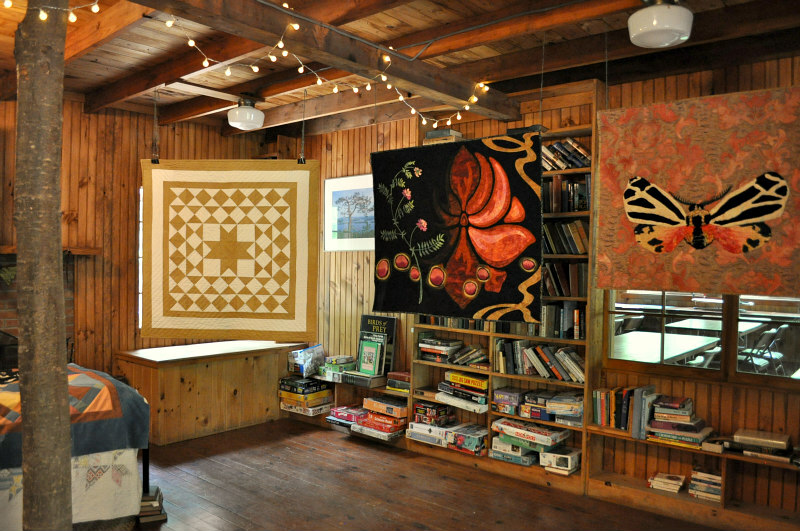 Welcome to "My Enchanted Wonderland", an installation of art quilts that I had the honor of sharing this past week at Squam Art Workshops in NH. 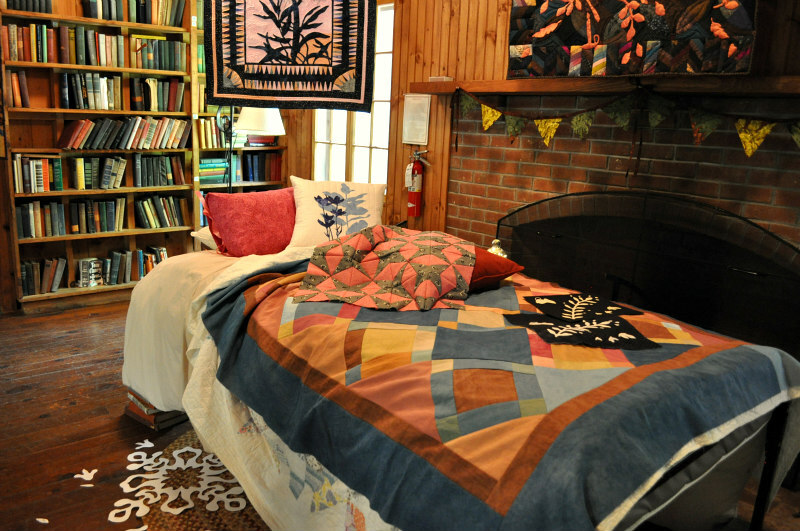 Housed in the Deephaven Library at Rockywold-Deephaven Camps, an inherent coziness and intimacy infused the space surrounding my Nest and art quilts. As soon as the quilts were hung, I stood back with my amazing helper Terri Dautcher (@tldautcher) and we took it all in. It was the first time I saw my work all together and, as Terri can attest, I got a little choked up. I've spent the past eight months creating this installation, with most of it being made within the last six months. As a quilter, this has been a physically intense period of time, completely self-induced, with every art quilt featuring hand applique, and some also incorporating hand piecing or hand quilting. As a story teller, the intensity only continued to build because each story is so personal, and at the same time, universal. It's a lot to carry, which I see as a privilege because they are our stories. Sharing this little world of stitched stories with 200 like-minded people, nestled in the woods along the edge of Squam Lake, was truly a gift, a once-in-a-lifetime opportunity. The view to the right of my Nest. This installation was companion to the workshop I taught for two days, also titled Enchanted Wonderland. 28 incredibly gifted, generous, kind women gathered around work tables and cut what I'm calling botanical paper cuts, and then translated their favorite piece in fabric. 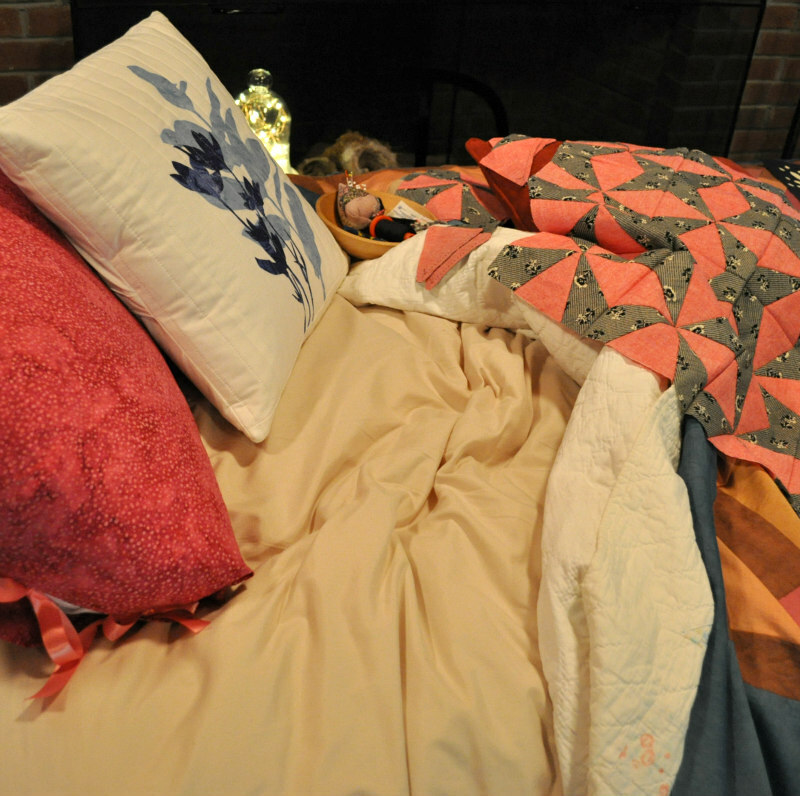 (The blue and white pillow below is one I made as a class sample.) Some students even took their fabric pieces to the next level by adding hand or machine stitching outside of class. To be surrounded by people so open to adventure, and to see their eyes light up with excitement about what they've just created - well, it's my favorite part about teaching. I believe this workshop is worth offering to a wider audience, so stay tuned for a workshop update. You can see a group shot of each class holding some of their work on my instagram feed, @tierneybarden. Close-up of the heart of my Nest. The pink and black Antique Stars is in the process of being hand pieced and will be hand quilted, some day. Back to the installation, over the next few weeks I'm going to share each quilt right here, one at a time, as a way to talk more in-depth about my design process, how I choose quilting techniques in relation to the story being told and other topics. Send me your questions here in the comments, by email, or DM @tierneybarden on Instagram and I'll do my best to answer in the upcoming posts. That would be fun! On my Nest is a Welsh-inspired quilt top that I made entirely with my naturally dyed organic sateens, and will be hand quilting this summer. There's also a small black and white paper cut featuring a mouse friend (background) that has then been hand appliqued also in black and white (foreground). More on this and other little pieces coming soon, too. 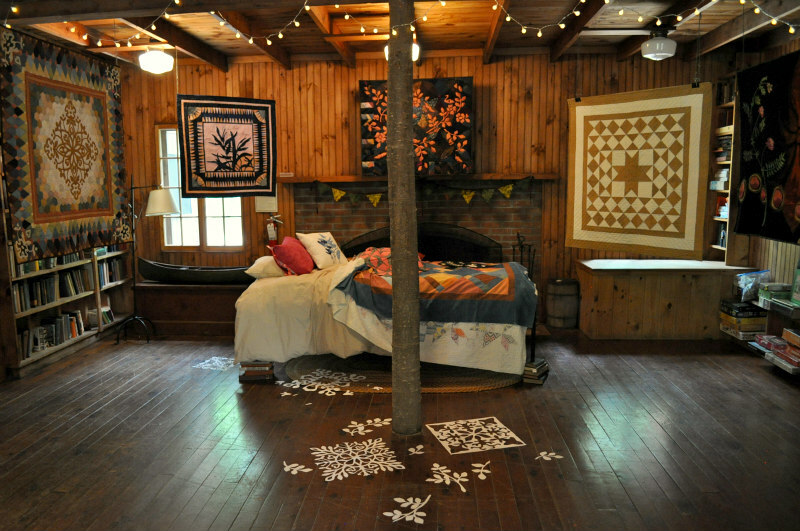 While at Squam, I was frequently asked what's in store for the quilts. I'd like them to travel to other unique, intimate spaces, and to share these stories with more people. I see the installation changing to fit the space, a welcome challenge. I'm open to location suggestions, and you can email me here. 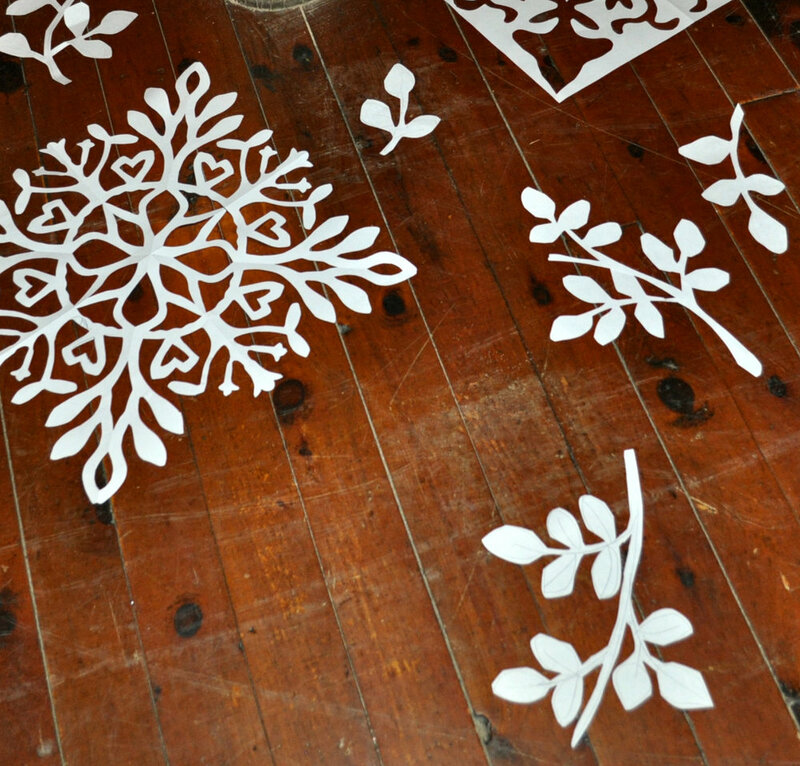 Paper cuts used in Dark Night, 2018. To every person at Squam Art Workshops who experienced the show and shared their thoughts and questions with me, thank you! For every person who held their experience more privately, thank you! To Elizabeth Duvivier (@elizabethduvivier) who flung the door wide open to such an incredible journey, thank you! To Meg Fussell (@squamlove), thank you for keeping Squam Love alive! #squamlove #squamlove2018 #squamwardbound and follow @squamlove to be the first to know about future Squam workshop offerings, have an inside look at all things Squam, and more! Copyright 2019 - Tierney Barden original designs. All rights reserved.